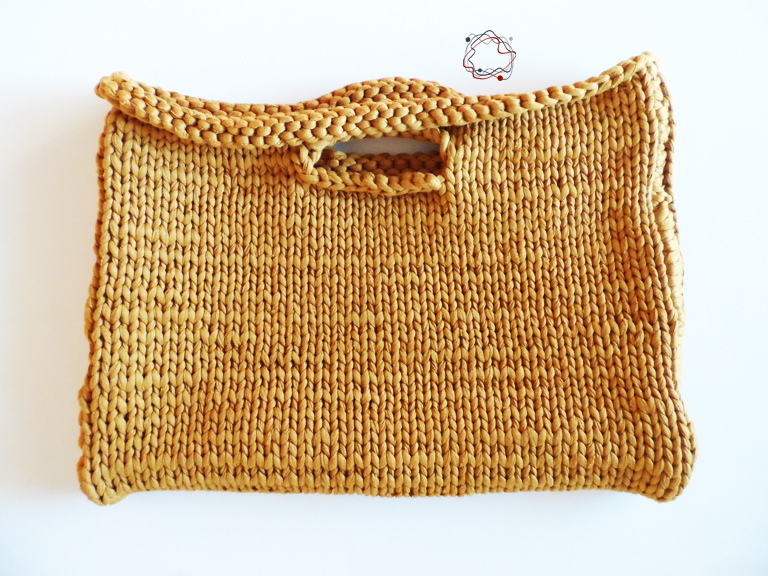 Modern light brown handmade handbag. 35x23cm. 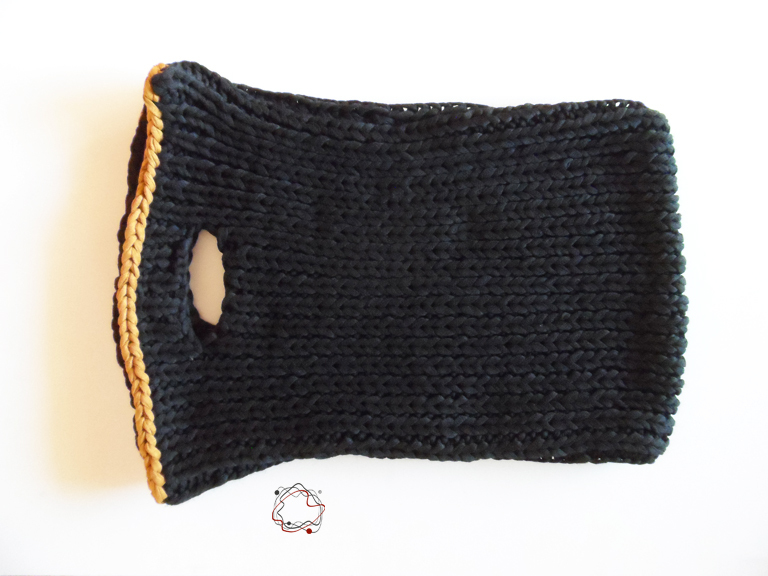 Modern Black-Gold-Ecru Knitted Handbag with Black Lether Ηandles. 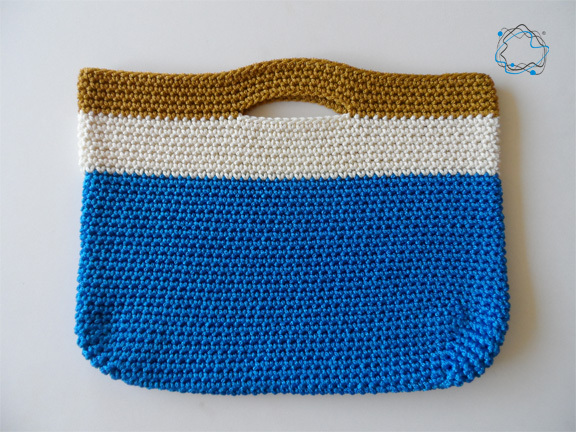 Size: 55x37cm. 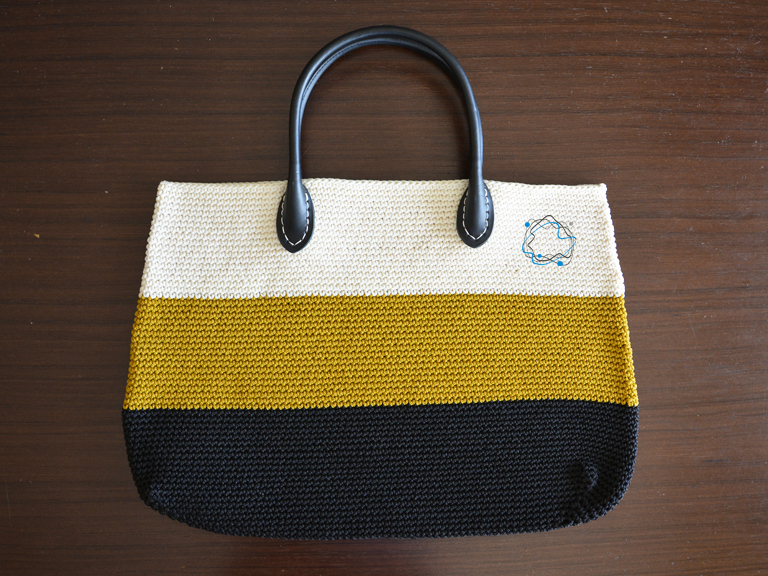 Blue, gold and ecru knitted handbag handbag. 32x23cm. 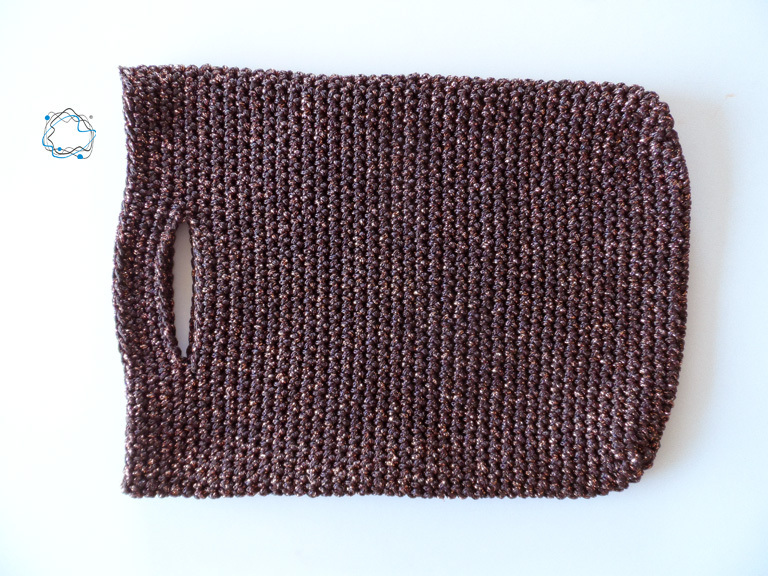 Long detachable handle included with sclips. 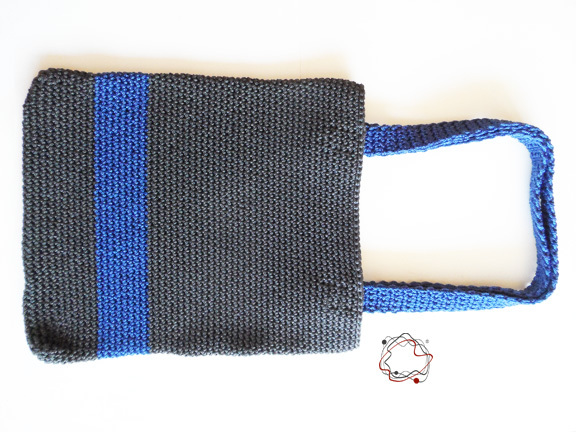 Blue, black & ecru knitted handbag with blue glass beads and long handles. 25x29cm. 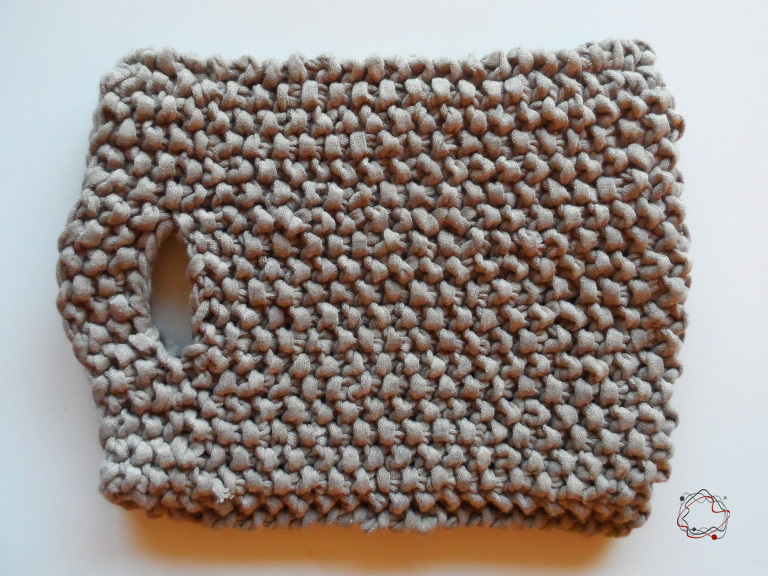 Modern gray and metallic brown knitted handbag, with magnetic clips. 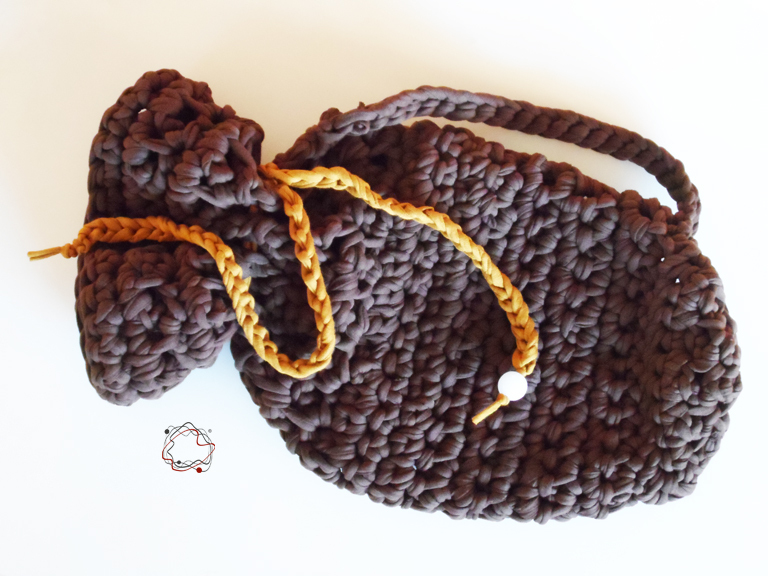 Dark brown handmade chalk bag. 40x24cm. 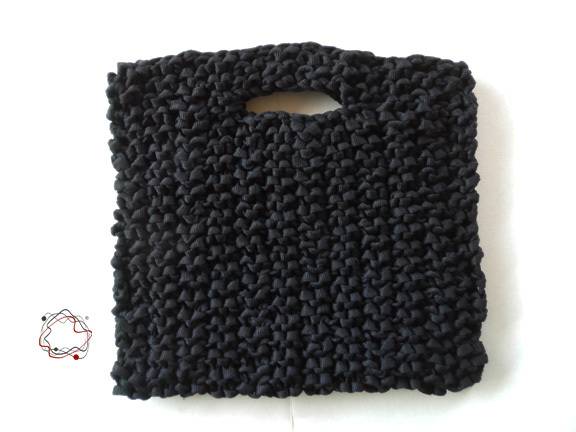 Black soft handbag with light brown detail. 35x18cm. 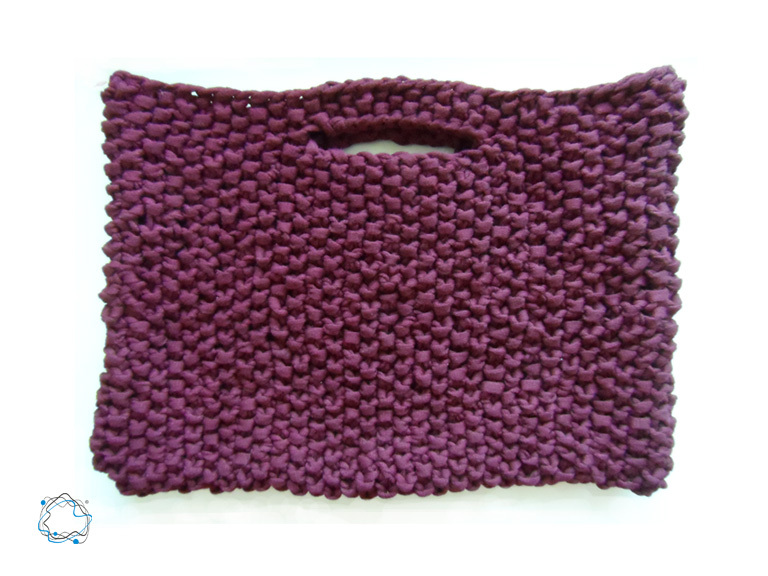 Modern aubergine colored knitted handbag. 40x30cm. 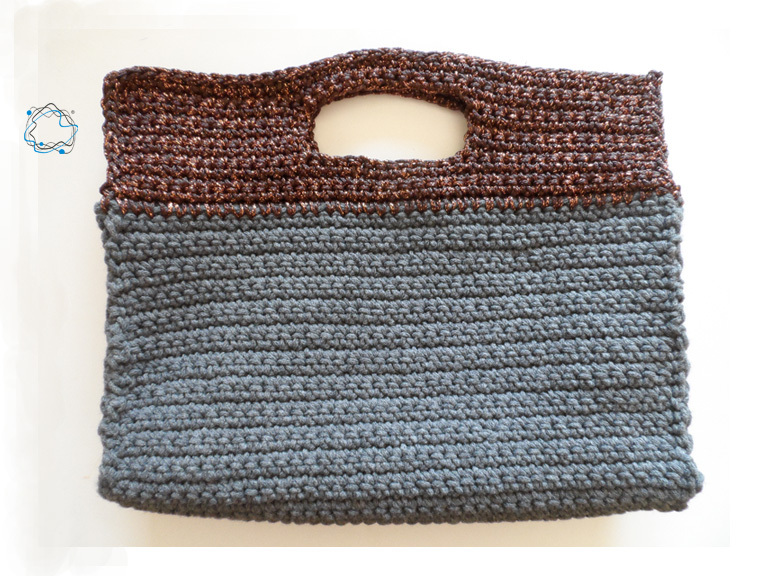 Modern light gray and blue handmade handbag.